With the latest advances in cosmetic surgery, having fuller lips has become a reality for many men and women. The use of injectable HA fillers to “plump” and correct lip shape with virtually no side effects seems very appealing to many people, especially the 20 somethings. It is important not deviate from the natural and normal lip anatomy as top lip being 1/3 and bottom 2/3 of the lip. Deviations from this standard is what is responsible for the “trout pout” which looks fake and too obvious that something was done. 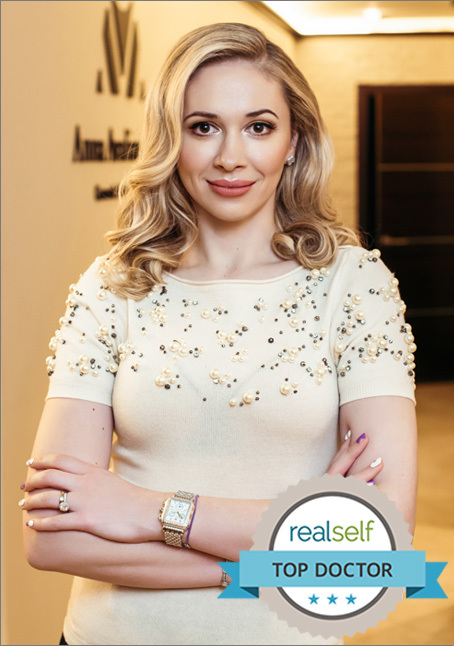 Dr. Avaliani is an expert and only strives to achieve the most natural and elegant results and believes that with lips, less is sometimes more.